HypnoBirthing® is a very empowering pre-natal preparation course, and is currently available in a private or group setting. The course consists of five sessions of 2.5 hours each, and includes the 300+ pages source material book, audio and various handouts. This course is a wonderful and effective tool to bring about relaxation during labour, and teaches breathing techniques and coping strategies for labour. It helps to eliminate fears and anxieties, as well as to build maternal confidence. See the following article from The Ottawa Citizen to find out more: Taking the pain out of labour. As a certified HypnoBirthing® instructor, I’ve been teaching the course since 2005 to couples in the Ottawa region. For private sessions, I teach with a flexible schedule of days, evenings and some weekends to accommodate the needs of busy couples. 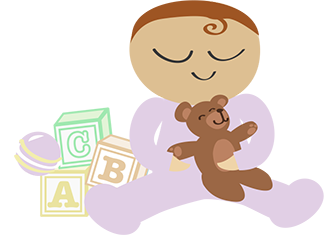 Group sessions are offered out of the Ottawa Birth and Wellness Centre. HypnoBirthing® is an empowering prenatal course that covers everything from labour stages to breastfeeding. The emphasis is on gaining a good understanding of labour, what the body does in labour, and how to cope. You’ll learn breathing and relaxation techniques, and your partner will learn many supporting tools. Included in the price of the course, you’ll get the official textbook, audio recordings and a folder with many handouts. The course is taught in five sessions, each being 2.5 hours in length. You can start the HypnoBirthing® course at any time after the first trimester has passed. Please don’t wait too long to start the course, as you may be uncomfortable sitting through the classes once you’re heavily pregnant. You will also want to leave yourself plenty of time to practice the techniques you will learn. Does my partner attend with me? Your partner is strongly encouraged to take part, as he or she will learn many tools to support you, and get a good idea of what labour looks like. I don’t have partner. Can I bring a friend? Absolutely! If you have a friend or family member that will be with you during your labour, please take the classes with her or him. I teach private sessions out of my home office in the west end, and group sessions out of the Ottawa Birth and Wellness Centre on 2260 Walkley Road (the Canon building) in east Ottawa. I know I want an epidural. Should I still consider taking the course? I’ve had a difficult prior birth experience. Should I take the group session or the private sessions? I would recommend that you take the private sessions, so that we can take the time to help you work through your past experience. When does the group session start, and how do I sign up? Course 2019-2 (Session full!) March 21 to April 18 2019, inclusive. This course runs weekly for five weeks on Thursday evenings. Thursday March 21, from 6:30 p.m. – 9:00 p.m.
Thursday March 28, from 6:30 p.m. – 9:00 p.m.
Thursday April 4, from 6:30 p.m. – 9:00 p.m.
Thursday April 11, from 6:30 p.m. – 9:00 p.m.
Thursday April 18 from 6:30 p.m. – 9:00 p.m. Course 2019-3 (Now booking!) May 22 to June 20, 2019, inclusive. This course runs weekly for five weeks on Wednesday evenings, with one exception: Thursday June 20. Wednesday May 22, from 6:30 p.m. – 9:00 p.m.
Wednesday May 29, from 6:30 p.m. – 9:00 p.m.
Wednesday June 5, from 6:30 p.m. – 9:00 p.m.
Wednesday June 12, from 6:30 p.m. – 9:00 p.m.
Thursday June 20, from 6:30 p.m. – 9:00 p.m.
Additional dates for 2019 group courses will be posted soon, but you can email me or use the form below to add yourself to the waiting list. Spaces are limited and fill up quickly, so please sign up as early as possible. Please make a note in the form below if you’d like to pay by instalments.